The Best Germany Travel blogs from thousands of top Germany Travel blogs in our index using search and social metrics. Data will be refreshed once a week. Gemany Travel newsletter is a comprehensive summary of the day's most important blog posts and news articles from the best Gemany Travel websites on the web, and delivered to your email inbox each morning. To subscribe, simply provide us with your email address. USA About Blog On behalf of the German federal government, the GNTB has been working internationally to promote Germany as a travel destination for more than 60 years. It communicates the diverse appeal of the country to a worldwide market, thereby promoting a strong and attractive brand – 'Destination Germany'. Facebook fans 2,287,316. Twitter followers 41,161. London About Blog Latest news and features from The Guardian for Germany Holidays. Facebook fans 6,858,921. Twitter followers 6,183,906. Dallas, TX About Blog The only guide you need to visiting Germany with tips on the best things to do and places to see in the country famous for beer and sausage. Facebook fans 14,227. Twitter followers 31,287. Italy About Blog Share, inspire and advise anyone who is interested in independent travel everything from how, what and where. Discussing and exploring alternative ways to live and work while on the road. Facebook fans 5,300. Twitter followers 29,572. Berlin, Germany About Blog An Inspirational Travel & Expat Living Blog by Cheryl Howard. My mission is to inspire you to travel more or even move abroad! Facebook fans n/a. Twitter followers 3,259. Boston, MA About Blog Go Ahead Tours is committed to breaking down barriers of culture and geography through educational travel. Expert travel advice, travel stories and inspirational travel photos of germany. Facebook fans 127,383. Twitter followers 4,983. About Blog A blog full of travel resources, photos and tips. Travel style: unique, adventure, luxury, preferably on water. Come see the world with me! Stories and travel tips from a German girl traveling and eating her way around Barcelona and the world. Facebook fans 446. Twitter followers 118. Stuttgart, Germany About Blog A coffee and cake-loving Canadian expat blogger in Germany sharing travel tips and expat advice. Facebook fans 497. Twitter followers 1,532. Stockholm, Sverige About Blog A platform for Germany travel inspiration, tips, city guides, reviews and networking. The travel community and blog is run by sisters Sheida and Yasmin and is based in Stockholm, Sweden. Facebook fans 346. Twitter followers 2,331. Germany / Florida About Blog We visit Germany at least once a year to see family and explore. We’re excited to share what we’ve learned and discover new travel tips. Our most recent Germany travel articles full of photos and detailed site descriptions. Blog by Denise & Sebastian. Slovenia About Blog Nina travels is a travel blog, where you can find all kind of travel tips and travel guides on what to do, what to see, what to eat, where to stay. This blog is for everyone looking for new ideas, adventures and tips for their travels, weekend getaways and holidays. Facebook fans 15,115. Twitter followers 13,713. 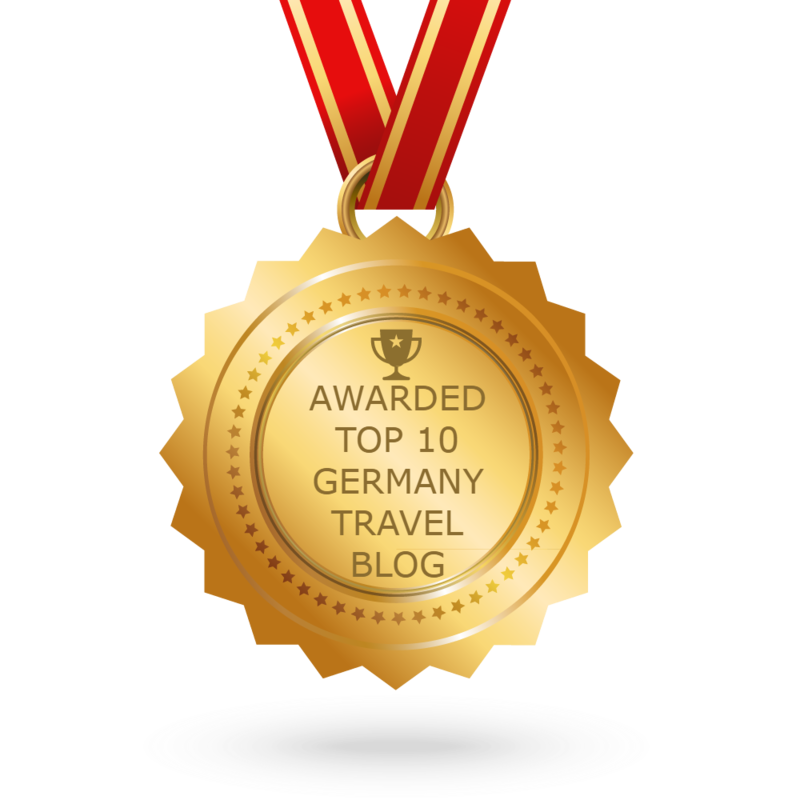 CONGRATULATIONS to every blogger that has made this Top Germany Travel Blogs list! This is the most comprehensive list of best Germany Travel blogs on the internet and I’m honoured to have you as part of this! I personally give you a high-five and want to thank you for your contribution to this world.